Designing a solution that effectively addresses your needs and preferences in all three areas is no easy task. For example, a remodeling proposal that may look great in someone’s mind may not be practical or affordable. TriFection’s sales and design professionals ask all of the necessary questions. They listen carefully, investing the time necessary to understand your vision and to build a relationship with you. That’s how TriFection consistently makes the Form, Function and Fit pieces of your individual project come together beautifully. 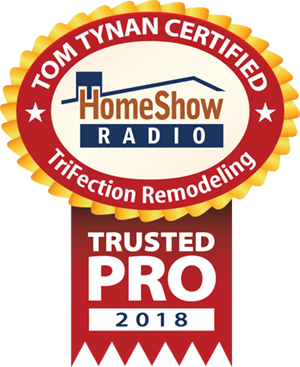 Serving the Greater Houston area, TriFection is a trusted HomeShow Pro, certified by HomeShow Radio’s Tom Tynan. How can TriFection help you? •Custom Cabinets for your Kitchen: Better for your Budget? •Room Addition Or Relocation: Which makes more sense for you? •Home repair after a flood demands plenty of time and patience?